It's boy versus snowman told in detail-rich comic style. Humorous and a little bit scary. Fun winter reading for ages 6 and up. And be sure to visit our Activities and Fun Stuff page to download free coloring sheets, paper dolls and the new "How to Draw a Snowman" booklet. Snowman Amuck: So What's It About? 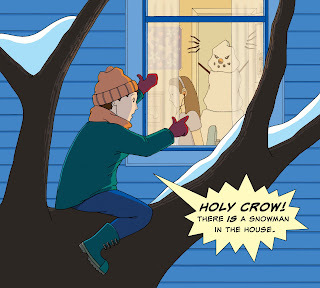 Jack’s parents are out, and soon Jack will discover something: never insult a snowman. Jack is dozing in front of the TV when he remembers that he left his sled outside. While Jack puts his sled away, a snowman sneaks into the kitchen and locks all the doors. Now Jack is stuck outside and it’s freezing. Jack thinks his sister is playing a trick on him, so he climbs to a second-floor window to attract her attention. That’s when he sees the snowman inside the house. When Jack finally gets inside, he’s on his own with a snowman determined to throw him out—permanently. 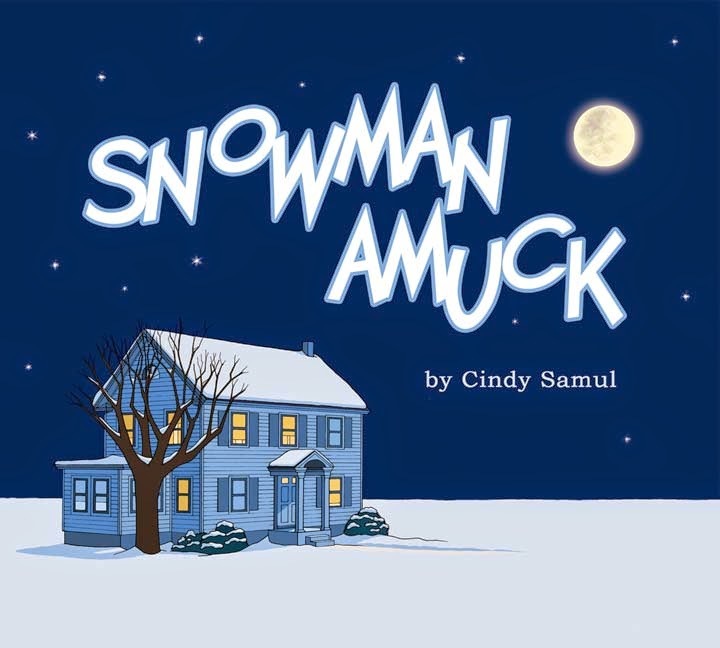 Snowman Amuck is told in a detail-rich comic style. Full color, 48 pages, ideal for ages 6 and up. Copyright © 2019 by Cindy Samul. Simple theme. Powered by Blogger.